Let me start by introducing myself. My name is Daniel. I have an obsession with learning and creating new ideas. I currently hold a Bachelor’s in Mathematics with a Minor in Anthropology. I am currently working on finishing my Master’s in Computer Science. I started becoming involved with politics a few years ago. Originally I was pretty Republican—not conservative, but Republican. However, pretty quickly I realized that it was all just a game. 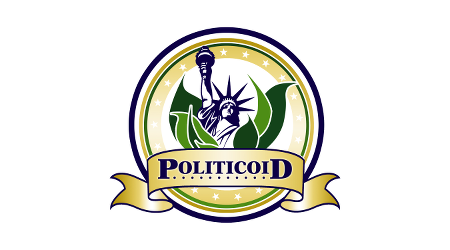 So I created Politicoid as a source for others to sort through the muck using logical thought and scientific reasoning. At Politicoid, we really try to focus on the scientific aspect of politics. This is of course very difficult considering how emotionally charged political discussions can be. However, we find that if we can remain calm and rational and use the same method of scientific investigation that has worked so well for so long, we can come to more powerful conclusions that will drive the discussion and our world forward. It is for that reason that when I write, I try to draw upon my formal education in mathematics and science as much as possible.